House sub floors - what's holding the house up? House subfloors – Check what’s holding the house up? It’s vital that before you buy a house, you establish what is holding it up. At Melbourne House Check we commonly see homes in Melbourne with inadequate subfloor structures. 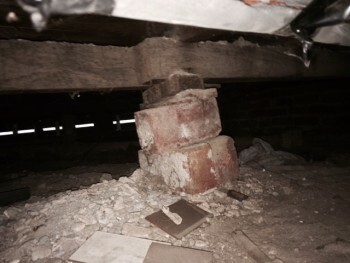 The featured photo shows a temporary stack of bricks holding up the timber floor bearers. Bearers are a substantial part of the floors structure and this condition is completely inadequate. During building inspections we access the subfloor in order to assess the quality of the workmanship of the building. 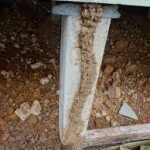 We look for defects such as this in order for buyers to make an informed decision. We commonly find cases where the subfloor access is denied. When this is the case, be very concerned and insist that access is granted. 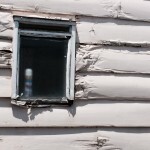 It’s vital that you don’t assume that all is well when it comes to the condition of a house. To find out more about a pre-purchase building inspection, you can contact us at Melbourne House Check here, or call us on 1300 729 352.
https://melbournehousecheck.com.au/site/wp-content/uploads/2014/12/16-e1418599639815.jpg 263 350 MHC https://melbournehousecheck.com.au/site/wp-content/uploads/2016/01/mhc_new_logo-1.png MHC2014-12-15 09:37:522015-01-21 09:59:39House subfloors - Check what's holding the house up? Do ant caps prevent termites getting into my house? Inspection identifies fungal decay.